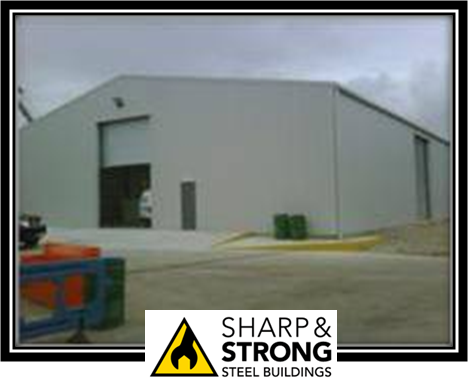 Choosing the colours of your steel building is important. 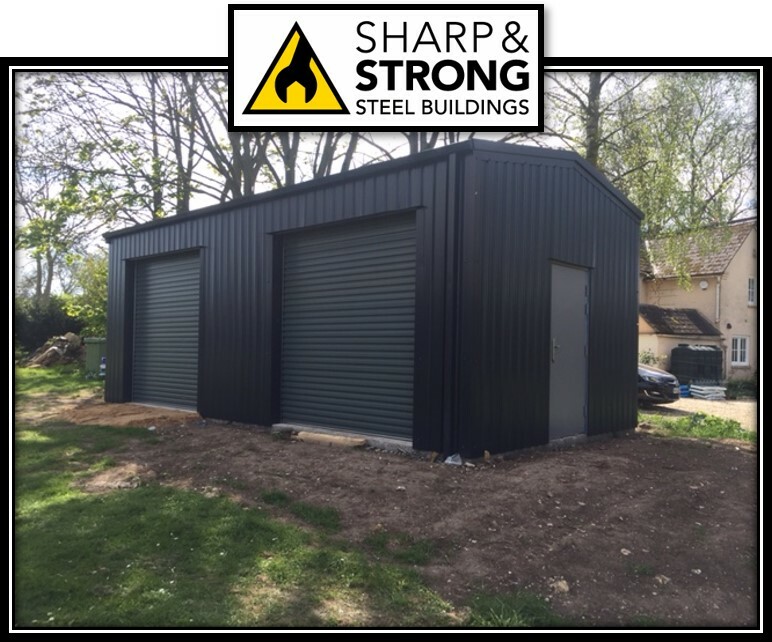 However, these days steel buildings don’t have to be boring! Numerous colour options are available. 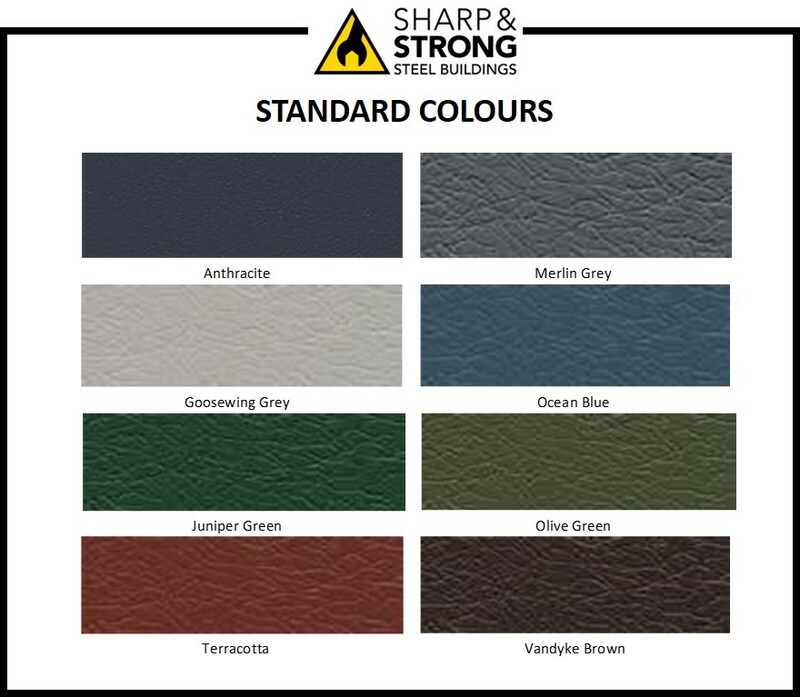 Our colour range is extensive and we show our standard range below. 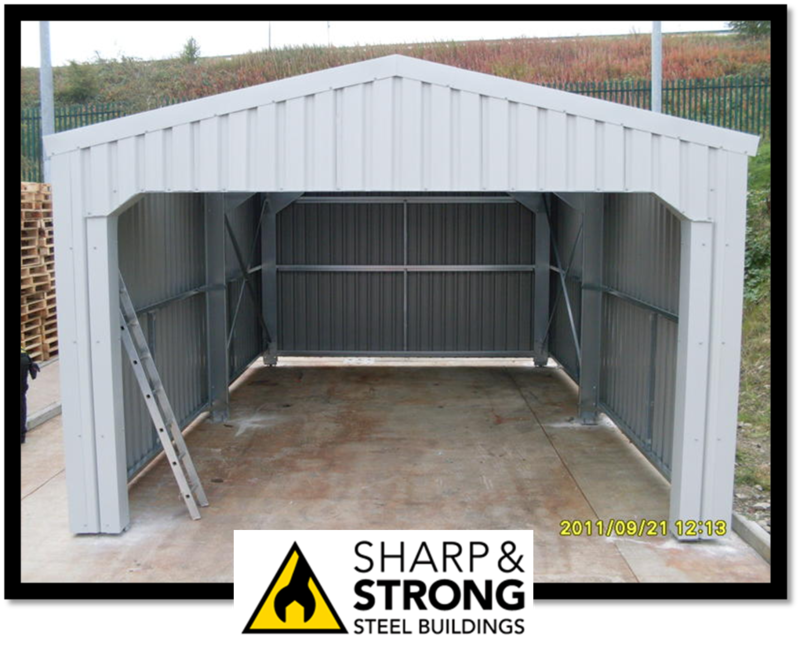 Any combination can be selected for differing elements of the building such as walls, roof, gutters, ridge and barges. However, should you have a specific colour requirement that isn’t shown please call our offices for advice. The colour coatings do not require any special maintenance regime. Therefore, their performance will not deteriorate during their lifetime. Use the chart below to choose your building and roller door colours from our standard range. 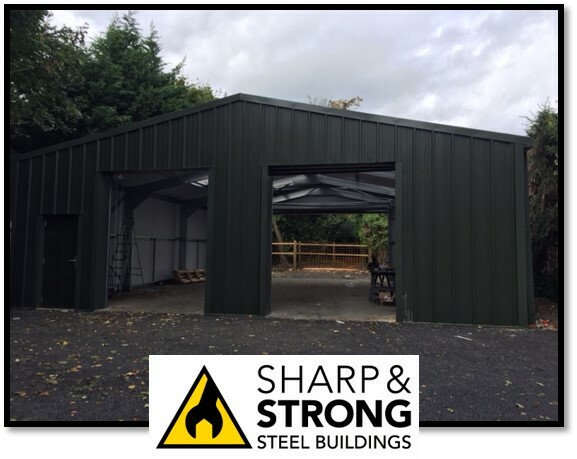 Many elements of the building, such as gutters, barge boards, personal access doors and even windows can be specified with differing colours to the roof and walls. 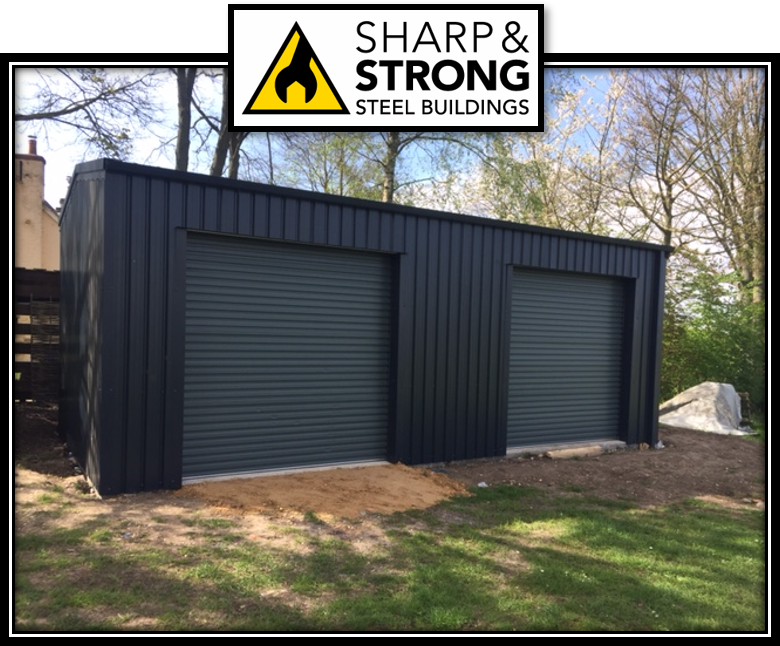 Customising your steel building in this way allows you to suit any corporate colour scheme. 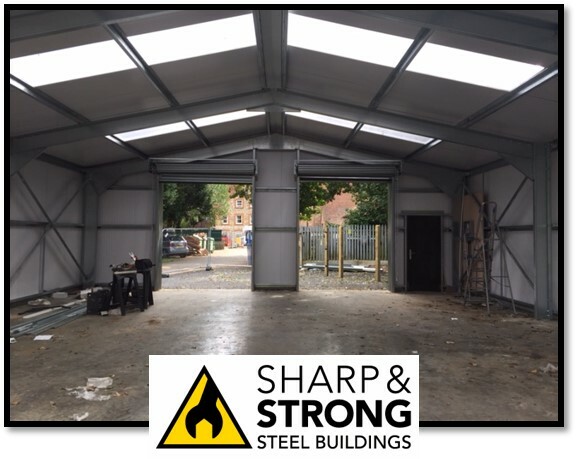 We are happy to help you decide the colour of your steel building that will suit the purpose of your building and also the environment or site in which it is to be situated. 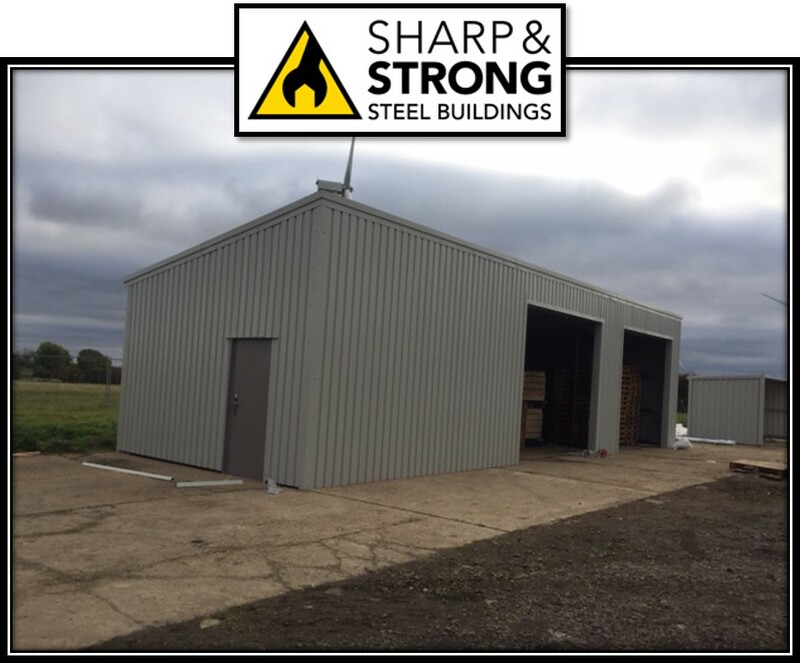 Sharp and Strong supply a wide variety of Steel Cladding Solutions from single skin to insulated solutions for your new steel framed building. 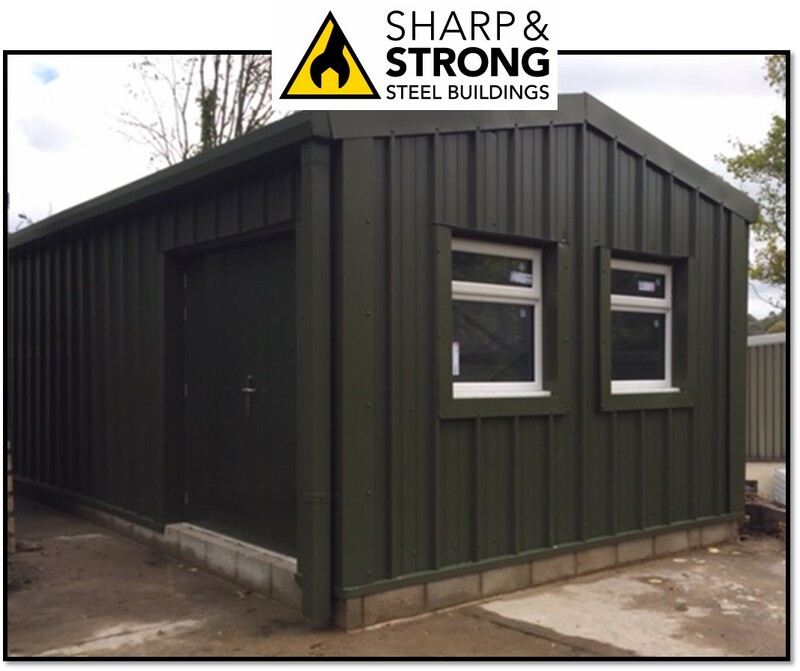 Probably the most common and widely used colours for steel buildings are Goosewing Grey, Juniper Green and Vandyke Brown. However, If you find it difficult to make a decision on specification, planning or colours just call us on 0800 328 5247. Furthermore, our team can organise a sample of cladding colour to be delivered to you.